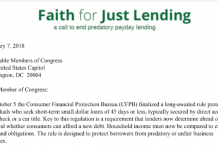 Today in Kansas City, Missouri, the Consumer Financial Protection Bureau (CFPB) announced a new federal rule for “small-dollar lending” that will apply to payday loans, auto title loans, and payday installment loans. 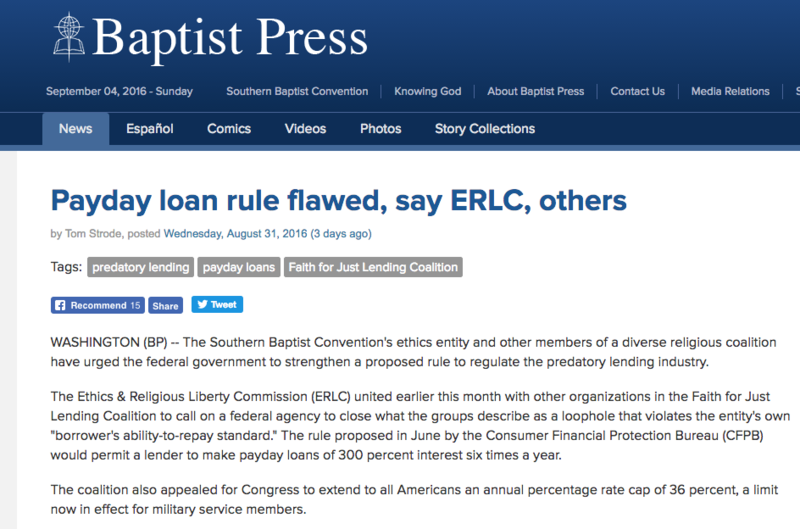 Without commenting on the specifics of that rule, I’d like to explain why I think the reform of payday lending is a moral imperative. 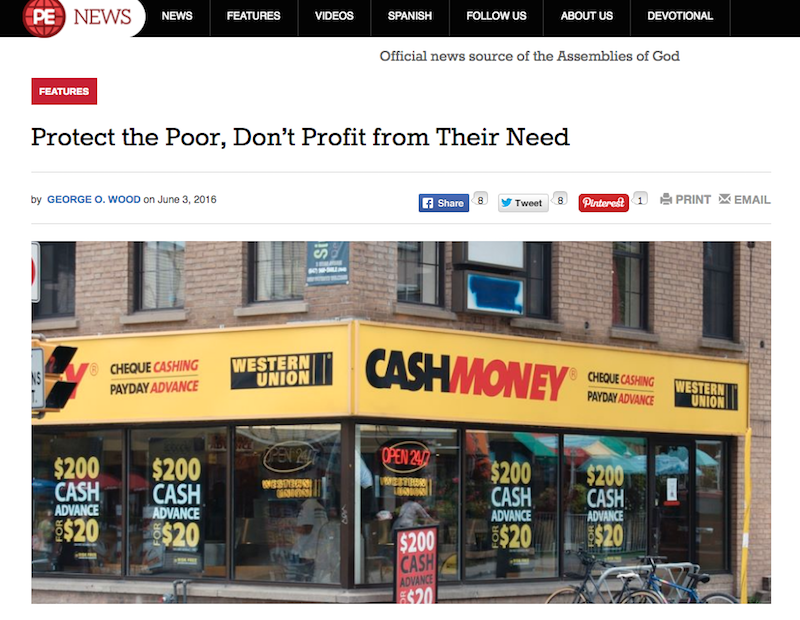 A statistic, a story, and a Scripture will help me explain why.